A fascinating, yet often confused element to understanding the Bible is the way that the New Testament uses, quotes, or otherwise alludes to the Old Testament. We’ve seen it in several recent posts, specifically the Apostle John’s quotation by John the Baptist concerning the name Lamb of God, which is packed full of Old Testament nuances, ascribed to Christ. We needn’t move far from this passage in John 1 before we encounter another strong, clear example of the NT use of the OT, this time from our Lord Jesus Christ. With these general observations made, there are really two that I want to focus on. First is Philip’s recognition of Jesus in verse 45 and his statement on the expectation of the Old Testament. When Philip says to Nathaniel, “We have found him of whom Moses in the Law and also the prophets wrote, Jesus of Nazareth, the son of Joseph” what are we to make of this? Where is he referring to in the OT? When we read the OT or hear it preached are our thoughts immediately transferred to Christ? Should they be? With this in mind, we can see clearly that the OT anticipation of the coming Messiah was fulfilled in the person and work of Jesus Christ and we can better understand that all of the Old Testament types, shadows, and allusions were pointing toward Him. This fascinating vision given to Jacob becomes the object upon which Christ draws attention in the passage from John 1. Jesus asserts that we are not to expect an actual ladder to be constructed from heaven and earth, that was the mistake of those who built the Tower of Babal in Genesis 11 (likely contrasted here in Genesis 28). Instead, He takes this vision of Jacob and applies it directly to Himself, as a pathway upon which angels will ascend and descend. Christ is the fulfillment of the OT type seen in Jacob’s dream. He, and He alone, is the bridge, or ladder, between God and man (or heaven and earth as it were). Upon Him, i.e. 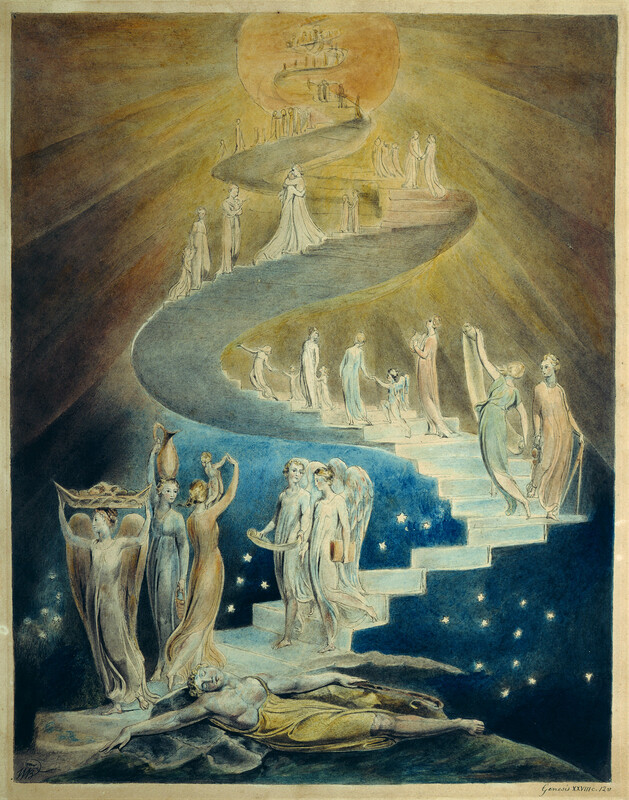 through His person and work, do angel’s ascend and descend as a picture of the access to God the Father that Christ has provided through His life, death, and resurrection. “…No one comes unto the Father except through me.” John 14:6 It is by way of Christ and no other that access can be granted to God. He is the only “way, truth, and life.” Jesus is the better and true ladder of Jacob’s vision, where the glory of the holy God condescends to meet with sinful man. Nice you shared a very informative blog. Thanks for sharing this blog. I haven’t time to reply in depth to your comment, but are you asserting that some Jewish scholars are correct in saying that Jesus was not the Messiah? I suspect that in your comment you’ve created a false dichotomy. If you read the appendix to Alfred Edersheim’s (himself a Jewish scholar, though convert to Christianity) The Life and Times of Jesus Messiah, you’ll find a list of all the OT passages that were considered Messianic at the time of Christ’s first advent (see for example Simeon’s blessing in Luke 2:25ff and Philip’s expectation in John 1:45ff, not to mention Jesus’ own words in Luke 24:44ff). This Messianic scripture list was actually changed by the Jewish rabbis to deceptively hide God’s revealed plan of His Son Jesus as the Christ. You may also want to review some of the Jewish intertestamental literature for some thoughts on how they viewed the Messianic anticipation of the Old Testament. Further, I mean no disrespect, but it is not to common sense nor to those who deny that Jesus is the Christ that I make my appeal, but to the Scriptures alone.